“Capitalism is under siege…diminished trust in business is causing political leaders to set policies that sap economic growth…Business is caught in a vicious cycle…The purpose of the corporate must be redefined around the concept of SHARED VALUE. The concept of Shared Value – which focuses on the connections between societal and economic progress – has the power to unleash the next wave of global growth” — Michael Porter, Harvard Economic Professor. Mark is a former US Marketing Director at Rip Curl and previous Vice President of Global Marketing at Reef. A world professional surfer in his youth, and a 35-year veteran of the action sports industry, Mark has spent the past 9 years helping to take Firewire from start-up mode to one of the most innovative and eco-conscious surfboard manufacturers in the world today. 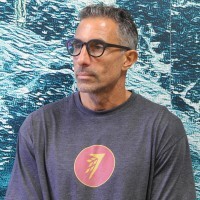 With decades of business experience in the Action Sports industry, and a lifelong surfer himself, Mark is uniquely positioned to comment on both the opportunities and challenges faced by the surfboard industry as it strives to improve its business practices for the betterment of our environment, without sacrificing the performance of its products.